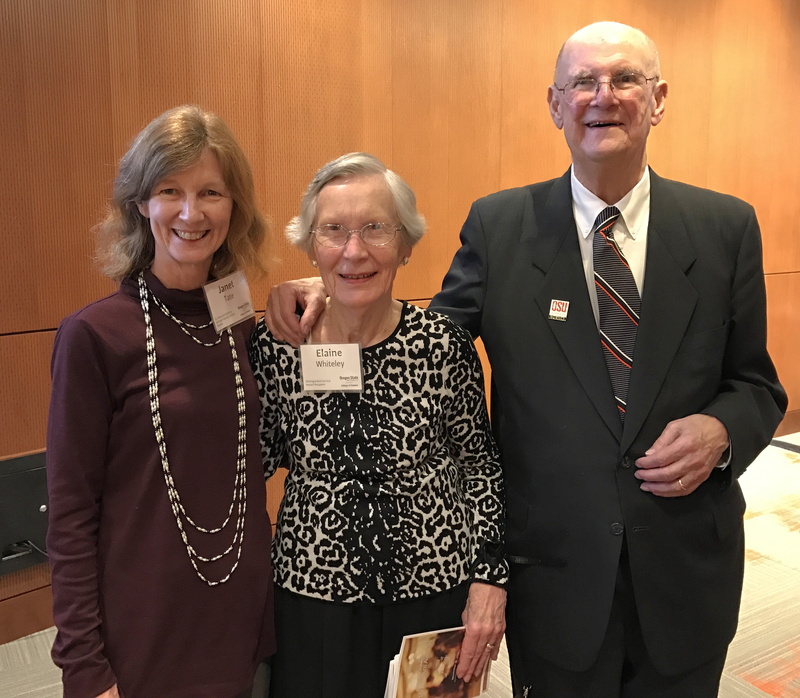 Elaine and Ben Whiteley were honored with the College of Science Distinguished Service Award on Friday, November 18th, 2016 at a dinner and award ceremony in the Memorial Union. Mr. and Mrs. Whiteley are pictured at the awards dinner with Prof. Janet Tate. 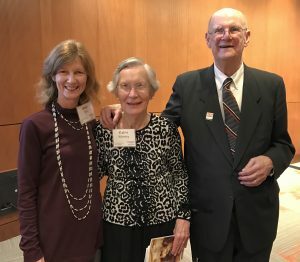 The Whiteleys are OSU alumni who graduated in 1951 and 1953 respectively, and are long-time friends of the Physics Department and the College of Science. They contribute generously to the endowment for the Yunker Lecture series, in honor of Elaine Yunker Whiteley’s father, Prof. Edwin A. Yunker, who was on the physics faculty for 43 years and was department chair from 1949 to 1966. They have also created a scholarship for students in Materials Science that bears their name. Many of our students have received the Whiteley Materials Science Fellowship and we all continue to enjoy the intellectual vibrance that the annual Yunker Lecture brings. Congratulations and thank you both for your support and friendship!